Just finished listening to Andy Harrington and he is an amazing speaker, no doubt. I did find the end bit a little intense as he tried to convince us all to work with him. And yet, the truth is, what he has to offer is incredibly amazing and it has helped people change the direction of their life and business. And I know that for some people, it is exactly what they need to get themselves moving. I aspire to be more like Andy because I know that what I have to offer the world is amazing. To hold back, to me, seems wimpy. If we are going to fight for the life and business we want, then we cannot be any of those things. We have to have courage that what we have to bring is worth something. Someone, somewhere needs what you have and it is your responsibility to bring it to the world any old how you can. Who was I allowing to influence me? Wouldn’t it be better to listen to the people who were getting results working with me? And we all do that! We all make choices based around people who are not doing much else other than shooting their mouth off. And then we listen and hold back!!!! It is never too soon to be the person you are created to be! 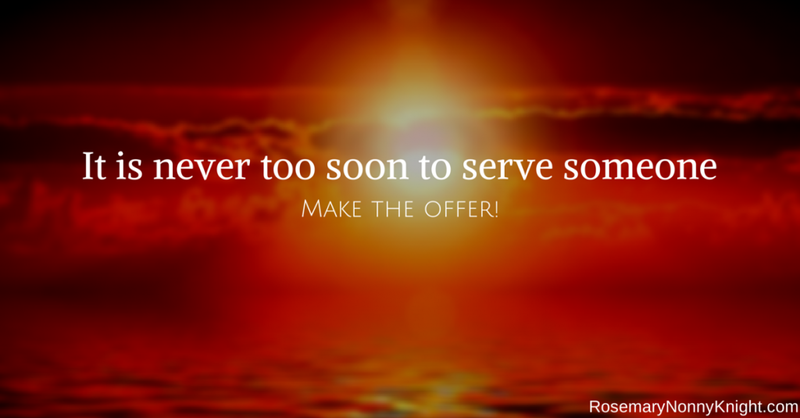 It is never too soon to reach out and serve people with your thing! You cannot be too forceful about telling people how you can solve their problems! And don’t let anyone tell you any different! And on that note, if you have a message that you want to get out in the world, if you have a product, a service, anything that will solve people’s problems, then you need to tell them about it! And I want to help you do that all in one day! A lot of small business owners & professionals transitioning into their own thing end up struggling to make any money because they just cannot generate enough leads, enough buyers and yet they struggle on doing exactly the same thing over and over again, wondering why the results stay the same. Somewhere inside they know exactly what they need to do but for whatever reason, they feel too overwhelmed and stuck in everyday life to actually implement any of it. You just do all the stuff you know that you should be doing, without dithering? Well, that is my offer to you, Come on the Warrior’s ‘Get It Done Already’ Business Launch Day on Saturday, 22nd November and you will leave that day knowing and having everything you need to make the lifestyle business a reality for you. And you get to do it all in one day! Or just claim one of the few remaining spots by clicking here.